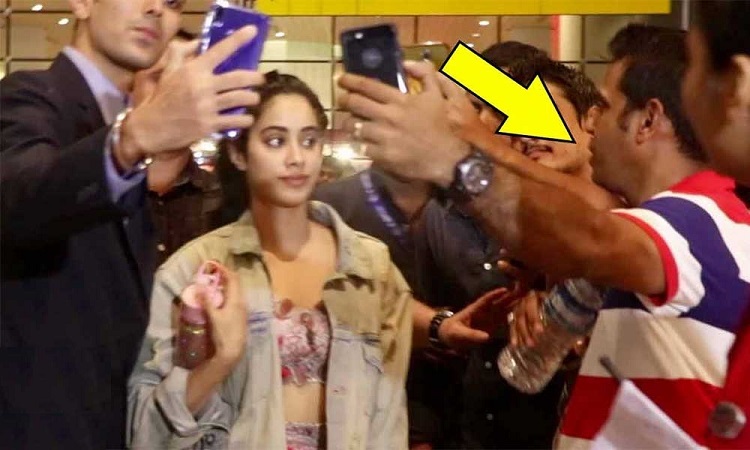 Recently, Janhvi Kapoor was returning from the promotions of her upcoming film 'Dhadak' and the moment she stepped out of the airport she got mobbed by her fans who wanted to click selfies with her. In an attempt to click pictures the crowd started pushing her and some even got too close to her. Despite asking them to back off, they didn't listen and continued their unprofessional behaviour. The anger and irritation on Jahnvi's face was clearly evident but the people still didn't back off. However, she managed the situation with grace and in spite of shouting or yelling at them, she rushed towards her car.